We’re bringing a leadership summit to the gym! Join us for this unique opportunity to connect with fellow moms, network over light bites, and get your body in gear. Fierce45’s one-of-a-kind pilates workout combines high-intensity calorie burning with the fundamentals of alignment, breathing techniques, and mindfulness practices. 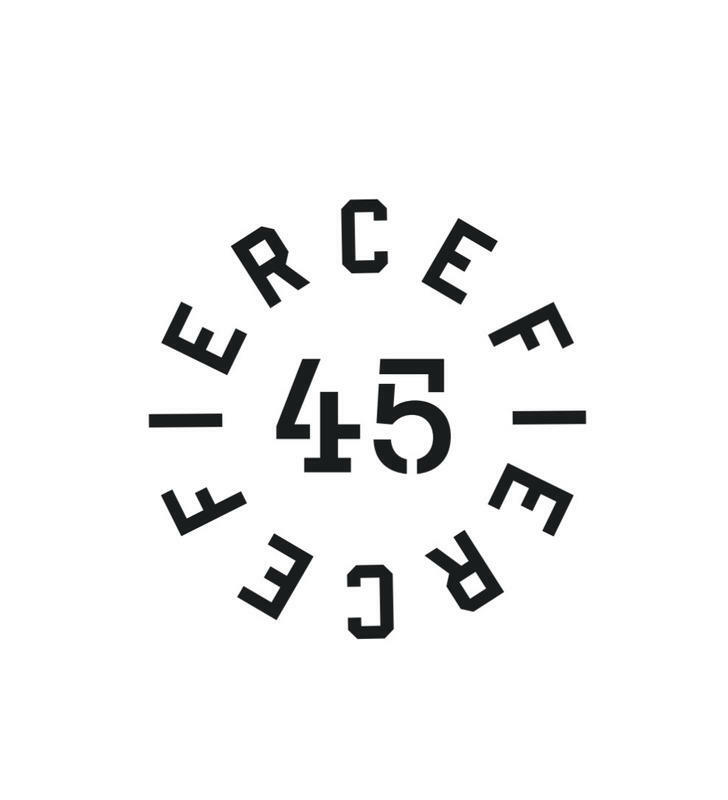 Fierce classes will be held across three separate studios at 1:30pm, and again at 2:45pm, with founder Torrey Newman speaking via Zoom to all three studios in between sessions. 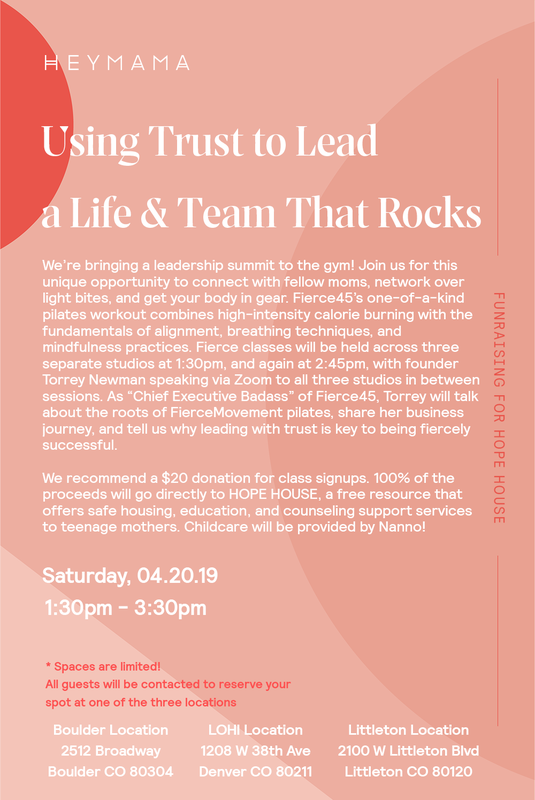 As “Chief Executive Badass” of Fierce45, Torrey will talk about the roots of FierceMovement pilates, share her business journey, and tell us why leading with trust is key to being fiercely successful. Childcare will be provided at this event, with a $20 recommended donation. 100% of the proceeds will go directly to HOPE HOUSE, a free resource that offers safe housing, education, and counseling support services to teenage mothers.